First we need to ask: What is radiocarbon dating? The imposing Judahite fortress of Khirbet Qeiyafa has been securely dated by pottery and radiocarbon analysis to the early tenth century B.C.E. and the reign of King David. Faced with a date for Qeiyafa that confirms the traditional high Bible chronology, the low chronology “minimalists” now desperately argue that Qeiyafa was a Philistine fort tied to the kingdom of Gath, not a border fortress of the early Judahite state. But archaeology says otherwise. There’s been a lot of debate around the issue of Bible chronology, which more specifically relates to the era of the reigns of David and Solomon. Did they live in the archaeological period known as Iron Age I, which is archaeologically poorly documented, or in Iron Age IIa, for which more evidence is available. Proponents of low Bible chronology, called minimalists, claim the transition occurred around 920 to 900 B.C. Proponents of a high Bible chronology put the date around 1000 to 980 B.C. Some scholars have asked if radiocarbon dating accuracy will help settle the question. What is radiocarbon dating? Radioactive carbon-14 is used to analyze an organic material, such as wood, seeds, or bones, to determine a date of the material’s growth. Is radiocarbon dating accuracy indeed more reliable to determine Bible chronology than traditional dating methods that rely on archaeological evidence that looks at strata context? In the following article, “Carbon 14—The Solution to Dating David and Solomon?” Lily Singer-Avitz attempts to answer these questions. In answering “What is radiocarbon dating?” she enumerates some of its deficiencies. Radiocarbon dating accuracy has its limits. The material’s period of growth might be many decades from the era in which it was used or reused, say, in building construction. Calibration procedures are complex and periodically revised as new information comes to light, skewing the radiocarbon dating accuracy. And statistical models also vary from researcher to researcher. Ultimately, radiocarbon dating accuracy for calculating Iron Age dates, and consequentially Bible chronology, has varied from researcher to researcher. When it comes to Bible chronology, the difference between a “high” and “low” chronology is a matter of mere decades, not centuries. Singer-Avitz claims the material evidence of archaeological stratigraphy, including pottery finds, should not take second place. What is radiocarbon dating? A useful tool but only one and not the only when it comes to determining Bible chronology. Archaeological Views: Carbon 14—The Solution to Dating David and Solomon? The date of the transition from the archaeological period known as Iron Age I to Iron Age IIa is a particularly hotly disputed topic, especially because the date of the transition is crucial for elucidating the history and material culture of the reigns of David and Solomon. According to the so-called high chronology, the transition occurred around 1000 or 980 B.C.E. It is generally recognized that David conquered Jerusalem in about 1000 B.C.E. According to the low chronology, the transition to Iron Age IIa occurred around 920–900 B.C.E. Other opinions place the transition somewhere between the two—in about 950 B.C. The date is important because the date you choose will determine whether David and Solomon reigned in the archaeologically poor and archaeologically poorly documented Iron I or in the comparatively rich and richly documented Iron IIa. However, the differences in data between the various schools are not dramatically far apart. They range between 30 and 80 years. In an attempt to solve this chronological problem and to achieve a more accurate date for the transition period, many scholars have resorted to carbon-14 (or radiocarbon) analysis, which can be performed on any organic substance, like wood or grain. Radio-carbon dating is regarded by many scholars as accurate, precise and scientific, in contrast to the old cultural-historical methods of dating archaeological strata, which the devotees of radiocarbon regard as inaccurate and intuitive. The hope of many scholars who feel that this science-based radiocarbon research will bring the debate to its longed-for solution is, in my view, difficult to adopt. The question I would like to raise is whether radiocarbon dating is really more precise, objective and reliable than the traditional way of dating when applied to the problem of the date of the transition from Iron I to Iron IIa. This question is sharpened in light of the fact that the uncertainty in the usual radiocarbon readings (plus or minus 25 years or so) may be as large as the difference in dates in the debate. (1) Sample selection. Measuring the remaining carbon-14 content in “long-term” organic samples, such as wood, will provide the date of growth of the tree, rather than the date of the archaeological stratum in which the sample was found. Furthermore, wooden beams were reused in later strata, which can result in even greater differences in date. Since these “long-term” samples may introduce the “old wood” effect, any calculation of precise absolute dates based on “long-term” samples is unreliable and may easily lead to errors of up to several decades or even more. For this reason, researchers prefer to use “short-life” samples, such as seeds, grain or olive pits. (2) Outliers. In many studies, particular radio-carbon dates are not considered valid because they do not match the majority of dated samples from the site in question. In other words the particular sample is either too late or too early No doubt the rejection of certain dates as “outliers” and their exclusion from the model may lead to different dates. Omitting outliers would be acceptable only so long as it is being done in a consistent, transparent way. (3) Calibration. Radiocarbon years differ from calendar years because the former are dependent on the varying content of carbon-14 in the atmosphere. Therefore a complex procedure known as calibration has been developed, which converts radiocarbon test results to calendar years by relating these results to dendrochronologically dated tree-ring samples. The calibration curve is revised periodically as more data are continuously accumulated. But the absolute date after calibration depends on which calibration formula is used. The results, depending on the calibration, can be quite different. (4) Standard deviation. Radiocarbon dates come with a given uncertainty. This uncertainty ranges from 20 years (for high-precision dating) through intermediate values of 50–100 years, and in some cases up to 100–150 years. (5) Statistics. For interpreting the results, different statistical models are used by different researchers. Naturally, different statistical models for interpretation of the same data will produce different results. (6) Other considerations. After processing the data with all these scientific tools, most archaeologists “improve” the given dates in accordance with broader archaeological and historical considerations. For all these reasons, contrasting dates have been reached in the ongoing chronological debate concerning the Iron Age. A decisive solution is far from being accomplished. Based on the very same data, but employing different statistical methods, the various schools have reached quite diverse conclusions. I do not mean to reject radiocarbon methodology for archaeological dating. But it is much more useful regarding broader archaeological periods. The differences in the various dates for the transition from Iron I to Iron IIa are too small to be helped much by radiocarbon dating. Hopefully, as radiocarbon dating continues to develop, it will eventually be more useful in solving the problems of Iron Age chronology. But at present the use of this method for elucidating the problems of this period, in which the differences between the theories are so small, investment of this huge effort (hundreds of samples must be tested) does not contribute to our understanding of the chronological problems any more than the traditional cultural-historical methods, based on pottery chronology, etc. Moreover, as so much emphasis is put on questions of different calibration methods and different statistical manipulations, sometimes the archaeological evidence is neglected and the data are not properly presented. The first stage in every discussion should be the proper presentation of the main archaeological finds—that is, stratigraphy and pottery. Based on the material finds it is possible to compare sites and regions and create a cultural-chronological horizon. In some cases today scholars are comparing radiocarbon dates, even before publishing the finds. The archaeological evidence is often not mentioned. Moreover, this archaeological evidence is not available and cannot be examined. In short, radiocarbon is not the be-all and end-all of the problem. Let’s not ignore traditional archaeological dating methods. 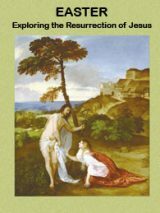 “Archaeological Views: Carbon 14—The Solution to Dating David and Solomon?” by Lily Singer-Avitz originally appeared in Biblical Archaeology Review, May/June 2009. It was first republished in Bible History Daily on July 17, 2011. Interesting article, but this is just a JOKE! The Bible’s chronology is specific and internal. T^he problem here is not taking into account REVISIONISM. Basically, there are 82 fake years added to the Persian Period. Once you take those extra years out, you can date the return from Babylon in the 1st of Cyrus to 455 BCE, which dates the Exodus to 1386 BCE (19 jubilees earlier, 931 years) and the reign of Solomon from 910-870 BCE. Radiocarbon-14 from Rehov confirms year 39 of Solomon fell in 871 BCE. Part of the problem, though is incompetent ASTRONOMY. The date of David and Solomon are based on a single elcipse miss dated to 763 BCE The Assyrian eponym eclipse was supposed to occur in month THREE! The 763 BCE eclipse occurs in month 2. This is how it works. The spring equinox dated to March 28th would mean that month 1 would be dated to around April 15th. The eclipse the archaeologists are using to date David and Solomon occurs on June 15, 763 BCE. But if month 1 would normally be dated from April 15 to May 15, and month 2 from Mary 15 to June 15. The solar eclipses occur on the last day of the month; lunar eclipses during the full moon in the middle of the month. So the June 15th eclipse is actually month two, not month 3. But guess what? This was a rare series of eclipses occurring every 54 years and 1 month apart. So 54 years later on July 17, 709 BCE, you actually have the original eclipse dated to month three! That is the original eclipse that should be used to date David and Solomon. When you use the incorrect eclipse dated to month 2 you get 925 BCE for Shishak. When you use the correct eclipse in 709 BCE you get 871 BCE, EXACTLY harmonizing with RC14 dating of stored grains found at the destructive level of City IV, which matches Shishak’s invasion. Meaning what? Meaning you can’t ignore incompetent and revisionism. RC14 and astronomy harmonize perfectly when you use the correct dates for Biblical events. So this “early dating” for David and Solomon is completely a FARSE!! The correct date for the Exodus is 1386 BCE, Solomon’s reign 910-870 BCE, Shishak’s invasion occurring in year 39 of Solomon in 871. Archaeologists don’t realize that there was a 6-year co-rulership between Rehoboam and Solomon, just as they are totally ignorant of a 6-year co-rulership between Ahab and Jehoram!!! The 1st of Cyrus actually occurs in 455 BCE!! So for those who actually know what the original Biblical dating is are just laughing at these scholars thinking there is some discrepancy between RC14 dating and other archaeological dating. Archaeologists are comparing incompetent and fake dates to the actual science, that agrees with the original Biblical timeline. There is an astronomical text called the VAT4956 that confirms year 37 of Nebuchadnezzar II originally fell in 511 BCE. That means the year of the last deportation in year 23 fell in 525 BCE. 70 years later would date the 1st of Cyrus to 455 BCE. 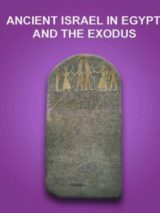 The Exodus, 931 years earlier (19 jubilees) falls in 1386 BCE. This can be dated to the end of the reign of Amenhotep III, which was always the historical Exodus per Manetho and Syncellus. His successor, after experiencing the 10 plagues, converted to MONOTHEISM. Thus Akhenaten’s monotheism can be used as a confirmation of the 10 plagues. So we know the current effort to date David and Solomon too early is just propaganda and farse and a complete JOKE. When you date these events per the Bible’s own timeline, then the RC14 dating works just fine. Beware of DISHONEST archaeologists who have their own agenda and are not representing the truth or what the Bible does. Anyone who does not date the Exodus to 1386 BCE at the beginning of the reign of Akhenaten is just incompetent at this point. We have way too much information now to correct the revised timeline. Radiocarbon-14 is showing the way if the field of Biblical archaeology will allow enough self examination for the truth to come out. Ultimately, critical Biblical chronologists just ignore Biblical chronology dating based on incompetence and make our own comparisons. Thanks for this article drawing attention to how RC14 affects dating. It confirms the Assyrian Period is incorrectly dated to the wrong eclipse in 763 BCE and should be dated to the correct eclipse in 709 BCE, bringing critical confirmation from RC14 for Shishak’s invasion in 871 BCE, as long as that is also dated to year 39 of Solomon! 1. “Four bone artifacts thought to provide evidence for human occupation of North America approximately 30,000 years ago are, at most, only about 3,000 years old, report archaeologist D. Earl Nelson of Simon Fraser University in British Columbia and his colleagues in the May 9 SCIENCE. . . .
2. “The difference in age estimates between the two types of carbon samples from the same bone is, to say the least, significant. For example, a ‘flesher’ used to remove flesh from animal skins was first given a radiocarbon age of 27,000 years old. That age has now been revised to about 1,350 years old.”—May 10, 1986. Although these go back 30 years, I guess it sill holds good. 1. A radio carbon date should never be “improved” or adjusted by the archaeologist. Let the data speak for itself without introducing bias. 2. When comparing radio carbon dates, the raw lab dates should be calibrated in identical ways. It makes no sense to compare two dates calibrated by different processes. Thanks for great info I was iin search of this info for myy mission.